This page will be completed as time allows. The Agouti Group is the 1st tier of the A series on the Color Genetic Totem Pole. It is the most dominant color gene group. The Agoutis have a white belly color and a colored "triangle" on the back of their necks. They also have eye circles and ear lacing. One easy way to identify an Agouti is to blow into the coat on the back and look for "rings" of color and to check for a belly color. You should see three distinct rings of color over the back. This group consists of Castors, Opals, Lynx, Ambers, and others. The color varieties recognized in Mini Rex are Castor, Opal, Lynx, Chinchilla, and Red (this color variety is affected by another gene that we will discuss later). The Tan Pattern Group is the 2nd tier of the A series on the Color Genetic Totem Pole. Tan patterns have the white (or, in the case of tans, red) belly color and a colored "triangle" on the back of their necks. They also have the eye circles and ear lacing of the agouti group. The visible difference between the Agouti Group and the Tan Pattern Group is the lack of ring pattern in the Tan Group. The Tan Pattern Group consists of Otters, Silver Martens, Tans and others. 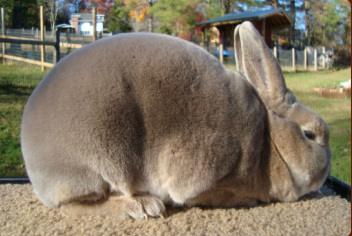 The Mini Rex are recognized in Otters and Silver Martens. All other Tan Pattern varieties (colors) are not recognized at this time in Mini Rex. rabbit (not lilac). 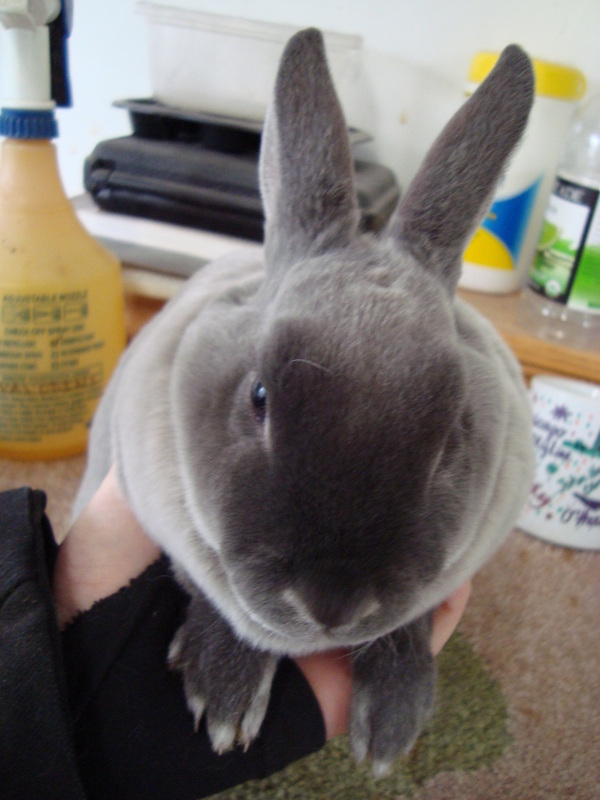 This color is currently not recognized in Mini Rex.